Gianfranco Soldera's Brunellos are some of the most hauntingly beautiful, profound wines anywhere in the world. Over the years I have been fortunate to taste just about every wine Soldera has made at his Case Basse property in Montalcino. 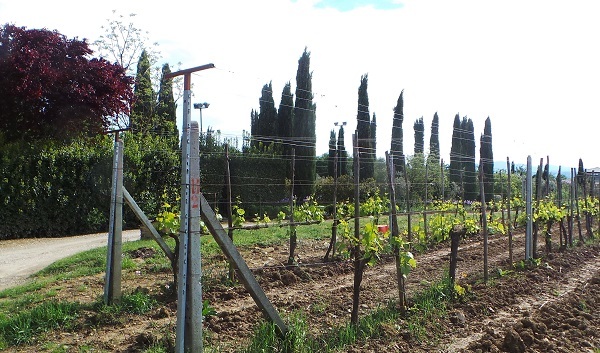 Even Soldera's earliest mid-1970s Rossos, then called Rosso dai Vigneti di Brunello, have aged exceptionally well, a testament to both the unique qualities of this site and Soldera's vision for what Sangiovese is and what it can be. This recent tasting provided a fabulous opportunity to check in on a number of Soldera classics, mostly of them more recent releases. As always, provenance is key. I couldn't help notice that a number of the wines I brought showed exceptionally well. They weren't necessarily from the best or most highly regarded years, but they were most certainly bottles that did not have a lot of miles on them. That makes a huge difference, especially with wines that are made with very little intervention in the cellar. Soldera's approach in the vineyard can only be described as maniacal. No detail is overlooked. Things seem a little more relaxed in the cellar, where natural fermentations and extended macerations are the rule. The wines spend six years or more in large, neutral oak casks with minimal rackings, but even with extended time in barrel these wines always show notable brightness, freshness and a level of purity in the fruit that is truly remarkable. 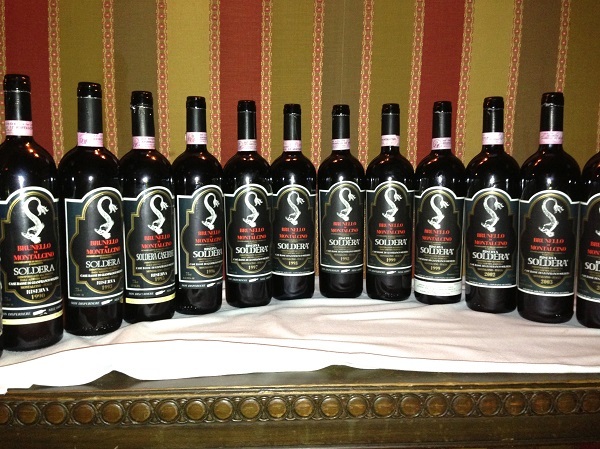 There is something incredibly sensual about Soldera’s 2006 Brunello di Montalcino Riserva. So many of the wines of the 2000s are powerhouses, but the 2006 is all about finesse. Silky tannins support a core of expressive, perfumed fruit in a mid-weight, gracious Brunello that is already hugely appealing despite its considerable youth. 95/Drinking window: 2014-2036. A tense, brilliant wine, the 2005 Brunello di Montalcino Riserva stands out for its gorgeous length and impeccable balance. Next to the surrounding vintages, the 2005 is a bit compact, but it nevertheless possesses terrific cut and precision, if not quite the pure seductive powers of the very best years. 93/Drinking window: 2014-2030. An explosive, sweet wine, the 2004 Brunello di Montalcino Riserva captivates all the senses with its dazzling perfume and intense personality. This thrilling, utterly magnificent Brunello will delight those lucky enough to own it for many years. 97/Drinking window: 2014-2034. One of the most pleasant surprises of the evening, Soldera’s 2003 Brunello di Montalcino Riserva races across the palate with remarkable depth and intensity. The warmth of the year comes through in the wine’s pure volume, yet all the Soldera signatures are in place. This rich, totally inviting Brunello is a fabulous choice for drinking now over the next 15-20 years, perhaps longer. 94/Drinking window: 2014-2028. The 2002 Brunello di Montalcino Riserva is simply off the charts. What is left to say? That the wine is mesmerizing? Of course. That Gianfranco Soldera somehow managed to make an epic, legendary wine in a vintage in which so few growers made decent wine at all? Obvious. The 2002 Riserva isn't just an iconic Brunello, it is one of the best wines ever made at Case Basse. Vivid and finely chiseled, the 2002 has enough pulsating energy and tension to drink well for many, many years. Wow! 98/Drinking window: 2014-2042. Some years back, I bought six bottles of the 1999 Brunello di Montalcino at the winery. At the time I was so excited, as this represented a big investment for my means. The first two bottles I opened smelled and tasted like nail polish remover, so I left the rest of the case alone for a few years. Today, the 1999 Brunello di Montalcino is simply gorgeous. Frankly, I am amazed (and delighted) at how it has come together. Sweet, floral and perfumed, the 1999 remains a relatively mid-weight wine by Soldera standards, but that just adds to immediacy and appeal. Stylistically, the 1999 is a delicate wine, but it has turned out far better than I ever thought it would. 93/Drinking window: 2014-2024. The 1999 Brunello di Montalcino Riserva takes things to another level entirely. Make that levels. Huge, backward and massively constituted, the 1999 hits the palate with an almost intoxicating melange of fruit and structure. The flavors are remarkably primary in this super-intense, rich Brunello. Readers lucky enough to own the 1999 Riservas are in for a real treat. 97/Drinking window: 2014-2034. Another very pleasant and unexpected surprise, the 1998 Brunello di Montalcino impresses for its fruit density and primary flavors. The 1998 isn’t a blockbuster, but it stands out for its exceptional balance and pure class. Everything is in the right place. 93/Drinking window: 2014-2033. The 1998 Brunello di Montalcino Riserva is just as gorgeous today as it has always been, even if it lacks some of the visceral thrill of the very best wines made at Soldera’s Case Basse property. A rich, intense wine, the 1998 Riserva simply has it all. Best of all, the 1998 is in a beautiful place right now where it has so much to offer. 94/Drinking window: 2014-2038. Sadly, three less than perfect examples followed, with off bottles of the 1997, 1996 and 1995 Riservas. The 1993 Brunello di Montalcino Riserva gets things back on track big time. A deep, sensual beauty, the 1993 is in a perfect spot now, where the aromas and flavors show gorgeous complexity allied to the seemingly eternal freshness that is the hallmark of these wines. The 1993 is a fabulous choice for drinking today, but it also has enough density to drink well for another 10-15 years, and likely beyond. 95/Drinking window: 2014-2028. The 1990 Brunello di Montalcino Riserva remains one of the very best wines Gianfranco Soldera has ever made. Deep, powerful and totally voluptuous on the palate, the 1990 Riserva has a luxurious texture unlike any wine I have tasted from the property, before or since. I wish every Vinous reader could taste the 1990 Riserva just once, just to experience its utterly majestic profoundness. 98/Drinking window: 2014-2030. 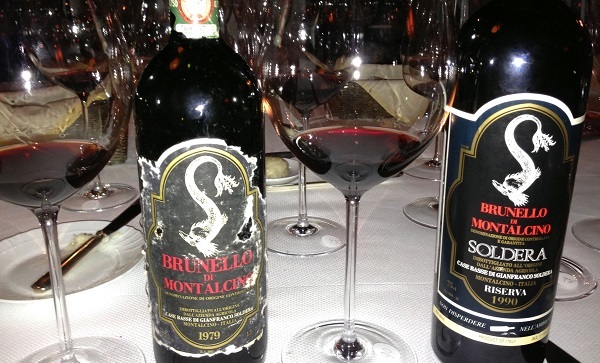 Soldera’s 1979 Brunello di Montalcino is a fabulous conclusion to this part of the dinner. This is my last bottle, and I can’t think of anyone I would rather share it with than my friends around the table. Even today, the 1979 remains fresh, pristine and vibrant. Soldera’s wines would become more polished in the 1980s and 1990s, but the 1979 never fails to deliver the goose bumps. A few years ago I bought some older Solderas going back to the 1977, the first vintage, for a nearly complete vertical we did at Alto. I took two bottles each of the 1977 and 1979 to the tasting and opened the bottles that looked best. That left me with low-fill bottles of the 1977 and 1979 that I have only gotten around to drinking recently. Amazingly, the two bottles with the lower fills turned out to be better, even with a few more years of age! Go figure. The 1979 is simply mesmerizing and an eloquent reminder of why we cellar wines in the first place. 95/Drinking window: 2014-2019.